Redstone rocket launch, 1954. PGM-11 Redstone rocket launching from Cape Canaveral, Florida, USA. The first Redstone rocket was launched on 20 August 1953. Redstone was the first major rocket development program for United States by the Peenemuende group led by Wernher von Braun. 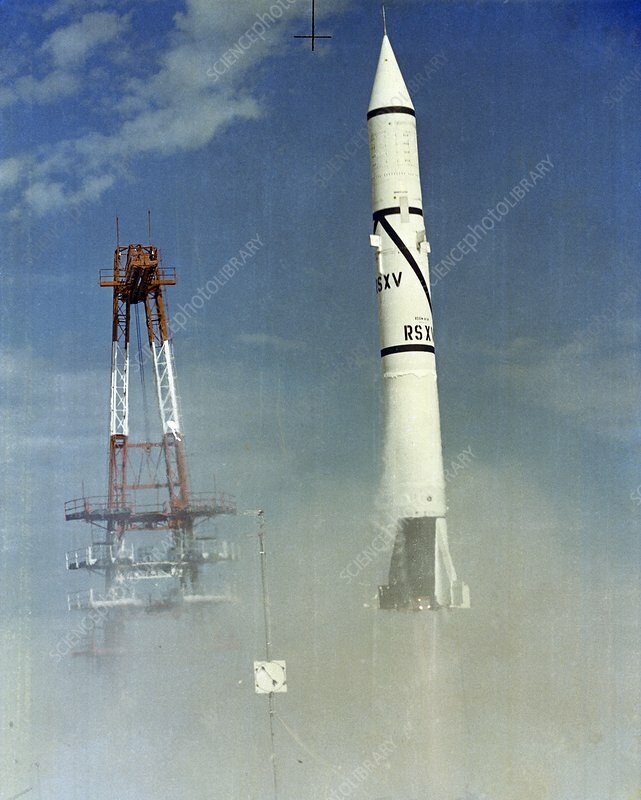 This launch, on 17 November 1954, was the fifth launch of a Redstone rocket.